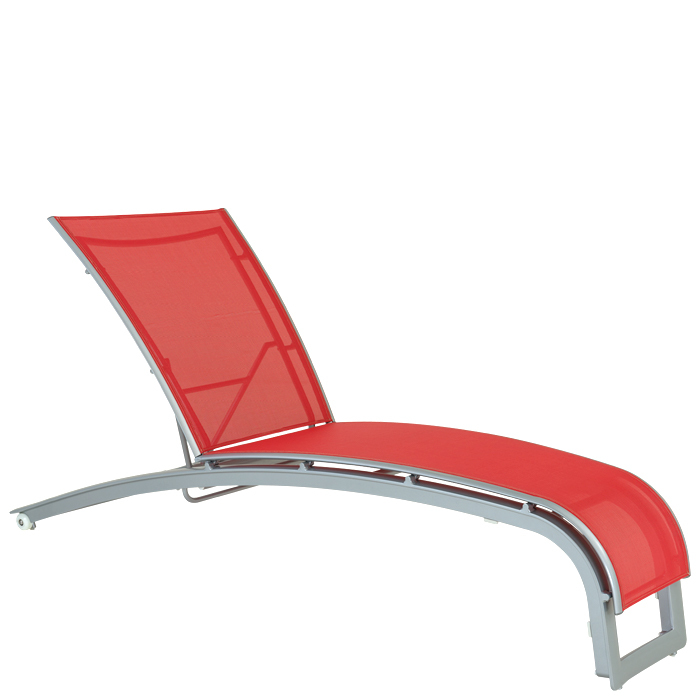 Designed by John Caldwell, Flair consists of a stacking outdoor chaise lounges. The tight sling and beautiful design creates a streamlined appearance. The Flair Sling Chaise Lounge with Wheels features a tapered seat, defying the traditional, standard rectangular shape. Flair’s tapered design means the chaise lounge has a smaller footprint to fit in more areas and creates unique seating arrangements. Wheels provide easy movement of the chaise lounge.